One small piece of news in the article was he noted Matt Vierling might try some 3B this Spring. 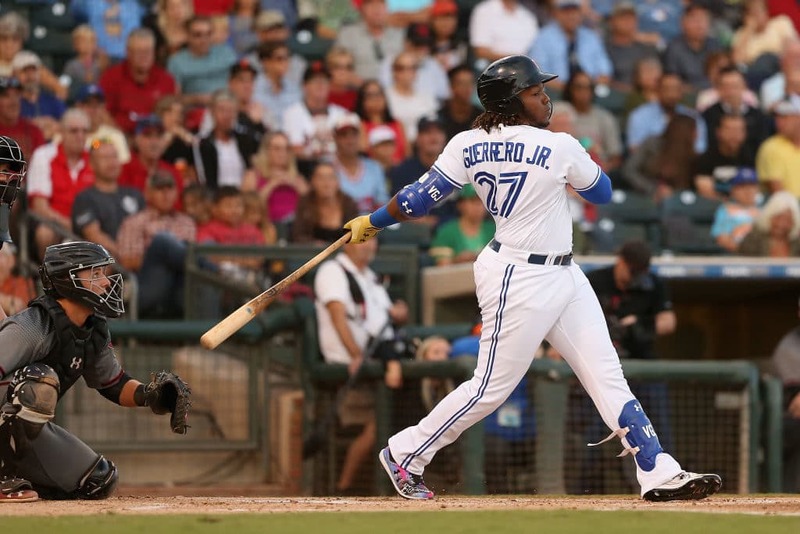 They might see him as a fast moving, athletic utility guy for the future. Agree that Law is often very different, sometimes right and sometimes wrong. He really is down on Gamboa in the article too. He might be the high guy on Muzziotti though citing a really high floor with his defense and speed. I was interested in his comment on Vierling, too. Wonder if that comes from Law himself, scouts' takes, or whether the Phillies people gave him that. We'll find out soon enough. I'm guessing the loss of Sixto and Stewart would knock the Phils' system back a couple spots in his org rankings, but not more than that. As Squire and others have suggested, it would be nice to see some guys take that quantum leap forward this year to sort of ease the sting of losing Sixto. I think it's a question whether Haseley can be a CF and, if not, how good an offensive corner OF he can be. If it was likely he could be even an average MLB CF, I think he ranks higher. I ranked him higher anyway. I think that Haseley is going to be the pleasant surprise of ST. I don't put too much stock in his mediocre post draft season. He had been the Friday night pitcher and then played in the field after that for Virginia. It makes for a long season. Haseley got his bat going last year. Its too bad that he couldn't come up to the club in September. If he doesn't make the club out of ST, he probably will be an early season call up. He can match Williams offensive output with more contact and is a much better fielder than him. IDK if he can hold onto CF; we'll see. I think the most interesting part of Law’s article is 3 of our of our 6 hitting prospects had their swings “fall apart” under the Phillies staff- maybe the change to a new regime will really make a difference. I'm hoping that's the case, but that will require a change at the Klentak MacPhail level and a change it what we think analytics is telling us. I still think the Phillies had a role in messing up Domonic Brown and Crawford. It's a big problem when you draft for one approach to hitting and set of hitting skills and then change what you value and try to teach square pegs to be good round pegs. Better to let the square pegs develop into effective square pegs and either use them in Philly, regardless of their being square, or trade them to an organization which actually values the square pegs. 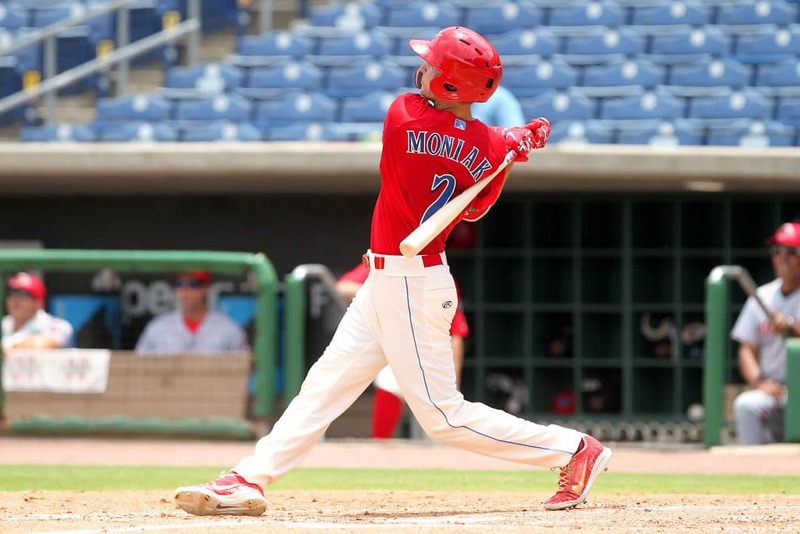 According to the recent Athletic article it was the Phillies' increased data operation at the minor league level that turned Moniak's season around. The Phillies hired Ben Werthan last January for the newly created position. As the organization refines its use of analytics, here's how he's helped Mickey Moniak, Austin Listi and Connor Seabold. Like most things, there is a learning curve in how to use the data they are now collecting and analyzing. I expect they will get better at it as they gain experience. Still, at some point, the players have to produce results on the field or they become another failed prospect. Probably both, if you make a change and it works, it gives you confidence and puts you on an upward spiral. Moniak is a good example of the problem of projection, which is even worse with LA players at 16, you're trying to guess how an 18 year old will play 2-3 years alter after he adds an inch and 25 lbs - same issue in the NHL. Even in the NFL, projecting 21 year old players isn't an exact science, it's easier with 23-24 year old redshirt seniors. Which is why drafting college players is safer, at 21-22 they have most of their growth spurt behind them. 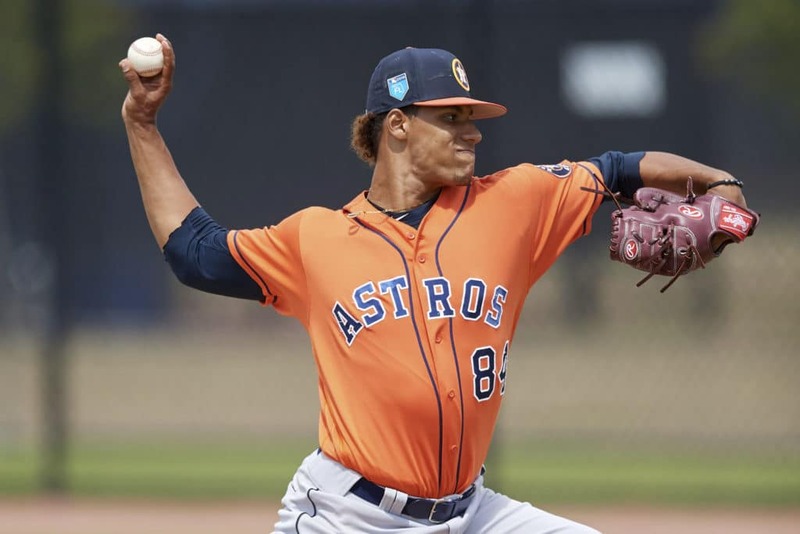 Prospects expert John Sickels ranks the top 100 baseball farmhands with a fantasy baseball lens, starting with sons of a former MLB standouts. His list seems a little more scattershot. Bohm is the only Phillie at 86. Sixto was 26th. At the end he lists sleepers and includes Luis Garcia and David Parkinson. He listed 2 per organization and they are not the same as "next best" after the top 100. He is probably the high man on Parkinson but maybe he can develop like Cole Irvin as another AAAA LH starter (to me anyway). Eric Longenhagen and Kiley McDaniel present their joint top-100 list, with reports for each player. 3 Phillies on the list. Medina (44), Bohm (66), and Howard (67). Sanchez at 17. Note that prospects are ranked by number but also lie within tiers demarcated by their Future Value grades. The FV grade is more important than the ordinal rankings. For example, the gap between prospect No. 5 on this list, Victor Robles, and prospect No. 35, Sean Murphy, is 30 spots, and there’s a substantial difference in talent there. The gap between Travis Swaggerty (No. 56) and Adrian Morejon (No. 86), meanwhile, is also 30 numerical places, but the difference in talent is relatively small. 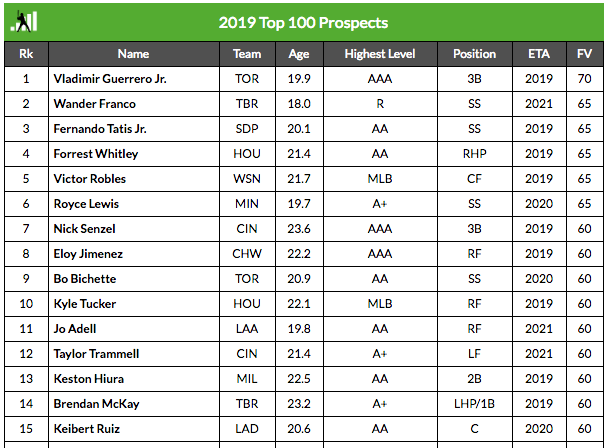 You may have noticed that there are more than 100 prospects in the table below, and more than 100 scouting summaries. That’s because we have also included 50 FV prospects who didn’t make the 100; their reports appear below, under the “Other 50 FV Prospects” header. The same comparative principle applies to them. They gave a pretty clear explanation for the extended list, though perhaps calling it a top 100 is misleading. Bowden is ambitious this year with a top 200. 200-101 up so far. Assume this means he probably has Alec Bohm and hopefully Luis Garcia in his top 100. And Haseley too in somewhat of a surprise. Sixto at 18. And perhaps the final prospect list from MLB.com puts up the Phillies top 30. This year they were not among the top 10 systems which get released later. Kinda surprising to me that neither Vierling nor Eastman can crack our Top 30. I do think that we have a reasonably equivalent plateau from like 10-50. Reading through the back end of this list I like it less than others. Like what is Maton doing at 18? Edgar Garcia way down at 28 seems low too since he might be with the big club by mid-season. I wonder if non-analytical beat reporters contribute to a list like this more than some other lists that are scouting and/or statistically based. Vierling does seem a quick riser to me since he is also pretty athletic (thus performance should translate to higher levels) in addition to playing pretty well. The ordering of this list IS strange, I agree. I also don't see how one can put together a Phillies top 30 without including Rodolpho Duran. This list has Howard lower than I remember on any others. I'm not bothered by Garcia at 28. Duran is #19 on the list.